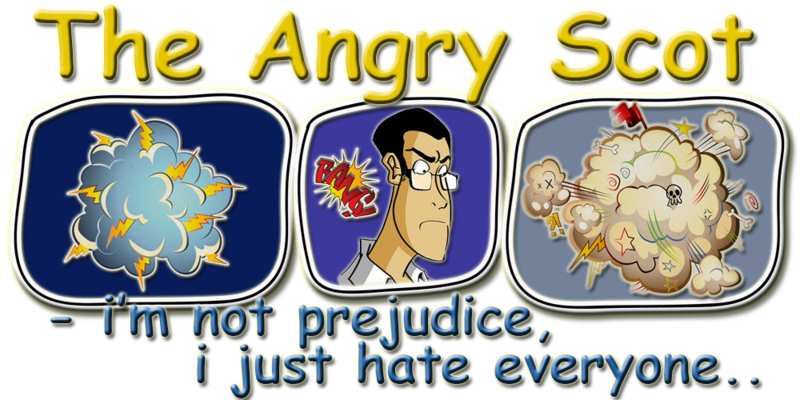 The Angry Scot: You Know The Kids Right! Firstly let me start off by saying i'm sorry, i have been not doing very well with my blog over the last few months and i don't actually know why, but i set out to at least write one post per day with the exception of the weekend and yet i find myself only writing 2 or maybe 3 posts per week, i am the same with my twitter and facebook i am very rarely on them these days because i am busy doing other things. So i just want to say i'm sorry for not being more productive but i am going to try and make a concious effort this month to bring you guys at least one post per day! I hope i am able to succeed. Yesterday my son Alex went through to the kitchen to ask his mum something who was busy sorting out the washing (Laundry to you guys state side) and after a short time of standing there speaking to his mum he came up with a very valid question. Alexander: "Why does the clock say it's 11:55?" Marie: "Well because it's broken"
Alexander: "Well if it's broken shouldn't you take it down or why do we still have it sitting on the wall?" Please ignore the god awful wallpaper, but we have been unable to decorate the kitchen since we moved in. The kid makes a very good point, i mean why do we still have it sitting on the wall, the clock itself is not physically broken but we have placed new batteries in it a dozen times and for some reason it just seems to drain them like nothing in this world, literally we can place new batteries in the clock and within a week it will be drained and showing the wrong time again. So there is no real answer to his question as to why we still have it up, i mean i'm pretty sure there is a clock sitting on someone's wall or mantelpiece that doesn't function and yet we still have it there, i still remember that my mum had a clock herself sitting above the cooker in the kitchen that did the exact same thing, you would put new batteries in it and within a few weeks they would be drained and the clock would be showing the same time, and yet she still kept it up there and we do the exact same thing. I mean why on earth do we do it? it's not like a clock is a ornament or anything like that it's meant to be something that tells you the time and when your in the kitchen helps you keep cooking times etc and yet ours is broken and we still have it sitting there doing nothing. So i came to the realisation earlier today when i was sitting thinking about it that he is right why do we still have it there? What about you guys? is it just a select few people that i have came into contact with that do this or is it something you guys have done as well? Would be funny to actually hear people come back with yes we have a clock that doesn't work sitting on our wall or wherever too. But until next time i think i shall bid you all farewell, i hope you all have a great day!